Where the name of Jesus is spoken! 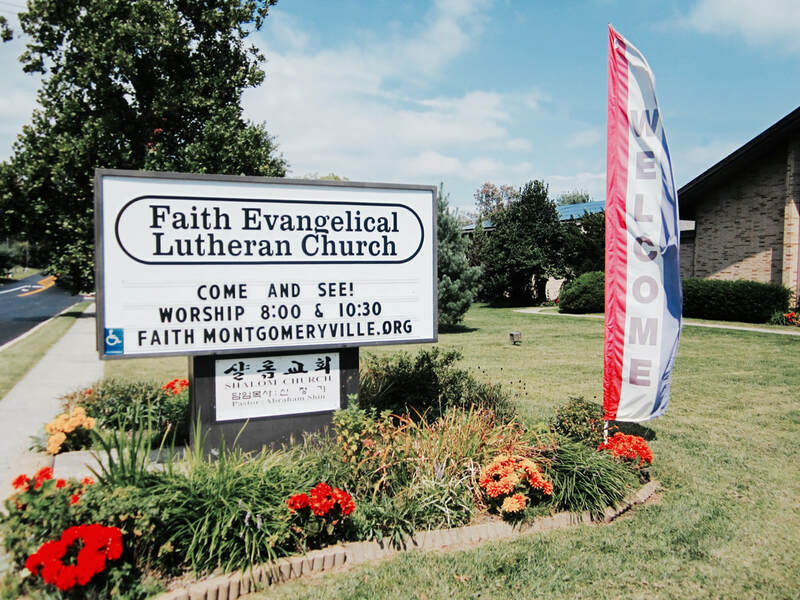 We, the members of Faith Evangelical Lutheran Church, dedicate ourselves to help people of all ages to know and to interpret the good news of the Bible and teachings of the Church as we gather as a family of Christians to experience God's presence in worship. We reach out wholeheartedly with love and understanding in Jesus' name to one another, the community, and the world as we strive to develop attitudes and skill in living the Christian Faith. ​Join us for a special lunch following 10:30 service to celebrate Faith's 54th Anniversary! 8:00 am - Vigil to Proclamation! 10:30 am - Resurrection Proclamation Worship! You are invited to our Wednesday Evening Lenten Dinner Church. Every Wednesday from March 13 - April 10 at 6:30 - 8pm. During this Dinner Church, we will share a light supper while reflecting on the weekly theme and then we will join in prayer. A great way to renew and reboot your Spirit as we move through Lent to the joyous celebration of the Resurrection! Please sign up in the foyer or by calling the church office at 215-368-0240.